Fire safety is an important pillar of our services. We offer our partners the full range of this professional area. We have got numerous references in defining, planning, implementing, reviewing, maintaining and operating fire safety rules. As a unique opportunity, we have prepared a special area to practice rescuing from fire and escaping in case of fire. The site has been actively used by our partners. Economic entities employing more than five employees or when a facility suitable for hosting more than 50 people is operated or in the case of high risk classification and in commercial places of accommodation fire safety rules must be prepared to which in cases defined in the Decree No. 54 of 2014 (5 December) by the Ministry of Interior a fire alarm plan shall be enclosed as annex. To determine the hazard influencing fire safety requirements, the building’s and independent building part’s hazard units and their hazard class should be identified, then the building’s and independent building’s principal hazard class and in case of special building the hazard class of that should be identified. The purpose of preparing a fire alarm plan is to ensure that everybody safely gets out of the facility. It clearly defines the tasks and responsibilities in case of fire. The training curriculum is prepared with a particular attention to the local setting, thus familiarization with the provisions of the fire safety rules can prevent fire incidents. Our service provides the fire safety training to be repeated annually and also the one for new hires. We document each and every training. It is of high economic and individual importance that through an alarm the Fire Brigade gets notified of a fire incident in due time. The time passed between the start of the fire and the beginning of fire-fighting is decisive regarding the expansion and development of fire and the magnitude of the damage caused. Our service helps identify the most suitable tool for this. Reviewing and maintaining fire-fighting water sources and built-in fire alarm equipment is a control activity that is focused on identifying and classifying failures, without fixing them. Our service eliminates the flaws identified during maintenance and review. In addition to education, as a unique service we have established a training area to practice rescuing and escaping from fire, which has been actively used by our partners. Music and dance events can only be held in the possession of an event-organization permit. Our service prepares fires safety plans and documentations. The inspectors of the Disaster Prevention Office are entitled to make unannounced fire safety inspections on premises, in offices and work areas. In case of such visits, we provide on-site representation to our contracted partners because we are aware of the fact that 95% of annual fines happen when the fire safety agent is not actively involved during site visits of the authorities. Our qualified colleagues inspect work areas and facilities on a regular basis. During the visit they record their observations and eliminate the shortcomings if needed. Every activity is considered fire hazardous that involves a higher temperature than the flash point or the fire point of a combustible material present in its environment, open flame or any heat, ember or spark that may be regarded as a source of ignition. Each fire hazardous activity requires a different set of specific safety equipment and instructions. Our service provides the identification of these conditions and the necessary tools. Each fire hazardous substance must be under a specific protocol. Our partners don’t have to worry because they know that we set, list and supervise the storage rules. The conditions of storage and the detailed rules of fire safety are stipulated in the Act No. 31 of 1996 on fire safety, technical rescue and the fire service. We determine the volumes of fire-fighting material units required for the necessary fire-fighting performance in a facility. In addition to the basic maintenance, we complete also the intermediate and full maintenance of fire extinguishers, which we record in the logbook. 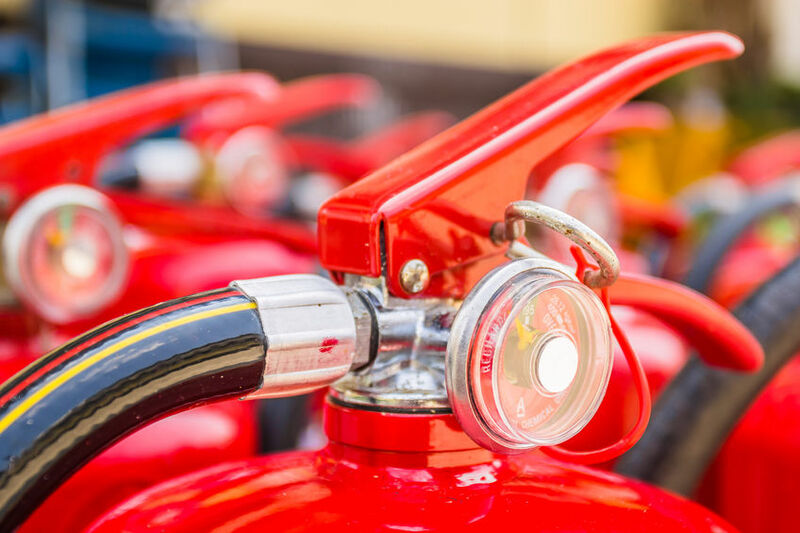 The installation place of fire-fighting water sources and wall hydrants shall be coordinated with the fire safety authorities, which is provided by our service. We not only maintain fire-fighting water sources, but also repair them and record such works in the logbook.